EA, Ubisoft Describe New Playstation 3 Price Point As "Exceptional"
Publishers Are Delighted By Sony's Bold Pricing Move. 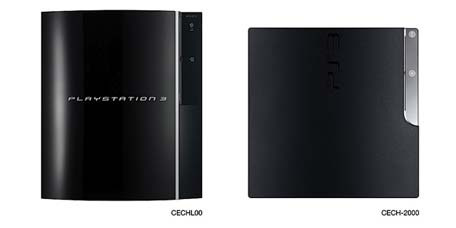 It's thanks, in part, to the newly announced PS3 Slim. It's an announcement which Ubisofts Yves Guillemot and Electronic Arts Frank Gibeau are both very, very pleased about. Electronic Art's Gibeau echoed Guillemot's thoughts. "I think it's awesome. It's an old line, but it still rings true for us: 'We make the ammunition for the hardware wars'. So the lowest priced hardware possible is a good thing for us. We want to see as big and broad a base as possible, and the Sony hardware is a good piece of equipment. "Getting into that price point is just going to expand the market for us, especially in Europe. We have a lot of PS3 games, we're a good supporter of Sony, we believe in the platform. We've got a lot of PSP games coming, and frankly we also support the PlayStation Network with direct-to-consumer releases, he said. Analysts are already predicting that Sony will gain some ground on Microsoft's XBOX 360 this holiday season, which is likely to see a price drop of its own to counter. Analysts have described the Slim as a "superior" piece of hardware to the 360 at a "much more competitive price point".